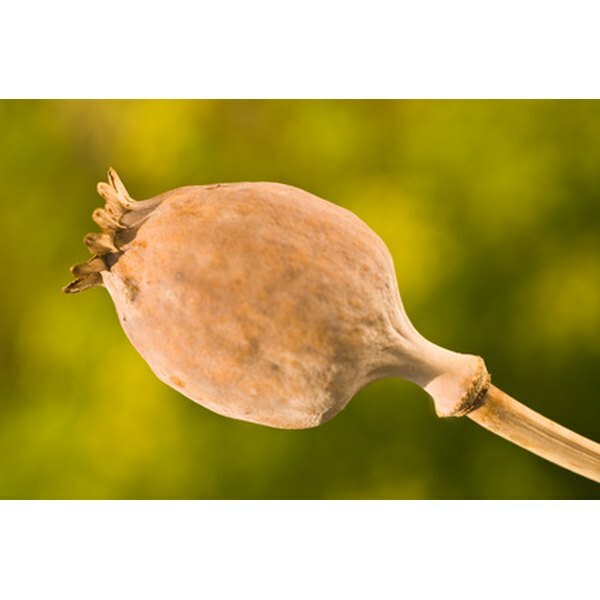 Morphine is an opiate drug that is derived from poppy seeds. According to the book "Basics of Anesthesia," it is a base opiate with which pharmacological chemists compare all other opiates to determine dosage and intensity proportions. Medically, doctors prescribe morphine as an anesthetic, but some people abuse the drug because it causes euphoria, sedation and analgesia. The onset of morphine's affects manifests more quickly in men than women, according to "Basics of Anesthesia." According to "Brunner and Suddarth's Textbook of Medical-Surgical Nursing," epidural opioids like morphine cause respiratory depression, which can occur within anywhere between an hour and 24 hours of administration, but usually peaks within 6 to 12 hours. Respiratory depression essentially indicates that the respiratory system has slowed, resulting in reduced oxygenation and contributing to feelings of sedation. Nurses monitor patients receiving morphine injections for the first time for at least 24 hours to ensure that respiratory depression does not result in progressive respiratory issues, physiological damage due to respiratory depression or loss of consciousness. The respiratory depression caused by morphine can lead to respiratory acidosis, particularly in patients recovering from relaxant anesthesia, according to "Handbook of Drug Interactions: A Clinical and Forensic Guide." Respiratory acidosis is a condition whereby blood carbon dioxide and alkalinity increases to dangerous levels as a result of reduced respiration or hyperventilation. This condition can lead to an acid-base disorder, which results from high blood alkalinity and causes persistent cardiovascular, metabolic, neurological and respiratory problems. It can also lead to hypercapnia, which results from high blood carbon dioxide levels and can cause suffocation without oxygenation through physiological response or manual transmission. The "Handbook of Drug Interactions" indicates that morphine can cause progressive respiratory crisis, particularly when combined with muscle relaxants. Progressive respiratory crisis refers to a deteriorating condition that can lead to death resulting from the gradual shutdown of the respiratory system. Due to the highly sedative effects of the drug, doctors, nurses and clinicians may overlook such complications if they do not closely monitor patients on morphine.